Travelers booking air through YMT will be greeted by a YMT representative and transferred to the hotel. Enjoy the afternoon and evening at leisure perhaps take the nearby light rail system to visit Pike Place Market or the Space Needle in downtown Seattle. Start your morning with a scenic drive through the lush forestlands of the Pacific Northwest. En route, visit the Grand Coulee Dam and Dry Falls before arriving in Spokane for the night. Pass by the beautiful lakeside communities of Coeur d'Alene and Flathead Lake as your tour takes you to "Big Sky Country" in Montana. Stay overnight by Glacier National Park in Kalispell, perfect for exploring Glacier and Waterton Lakes National Parks the next day. 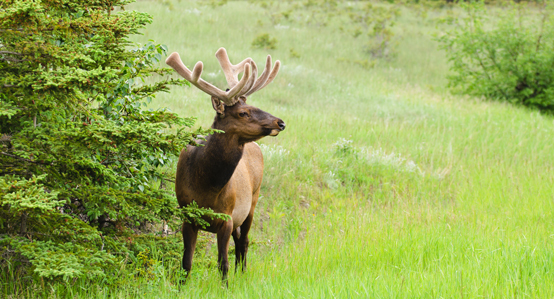 Drive through scenic routes of Glacier and Waterton Lakes National Parks. Enjoy the beautiful scenery along the "Going to the Sun" road in small vehicles (subject to availability and road accessibility) before stopping for lunch in Waterton. This morning, travel by way of scenic Highway 93 through stunning Kootenay National Park and along pristine lakes like Columbia Lake. Cross the Continental Divide by Radium Hot Springs before you enter the northern part of the Highway which will turn into the famed Icefields Parkway further north. 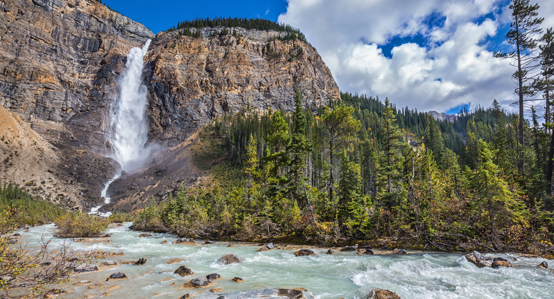 Visit Bow Falls and Lake Louise north of Banff before arriving in Canmore for a two night stay. At Lake Louise, take a short stroll along the lake shore to enjoy the stunning views and also see the famous Chateau Lake Louise Hotel. 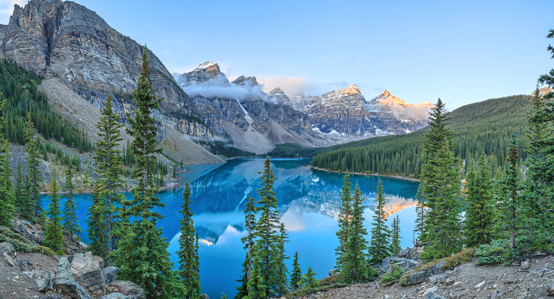 Travel north on the Icefields Parkway, the sensational scenic route through the Canadian Rockies and see Lake Louise. 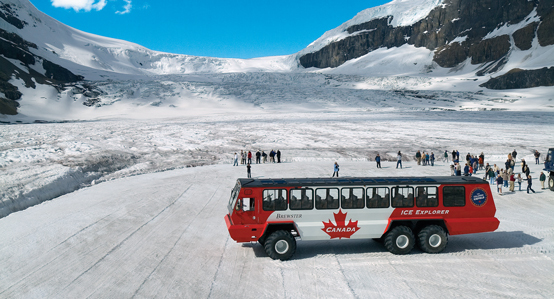 En route stop for an included tour with special Ice Glacier vehicles to take you onto the Icefields. You will be driven out onto the glacier where your massive Ice Explorer will stop and give you time to walk around and enjoy this breathtaking experience. As an optional activity at additional cost, you may choose to also visit Western Canada’s newest attraction: the Glacier Skywalk, a glass bottom bridge built into the mountain, offering thrilling views! Your day ends in picturesque Jasper, a small resort in Jasper National Park. Today drive south along the Icefields Parkway and stop in Yoho National Park before you head west to the resort town of Revelstoke. As you travel west through Salmon Arm and then South, you will enter the beautiful scenery of the Lake Okanagan region. 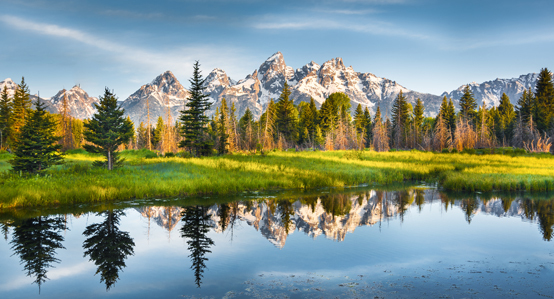 Surrounded by beautiful mountain ranges, the crystal clear waters and lake views will not disappoint! Continue on to Kamloops, consistently named Canada's friendliest city. Today you travel on Canada's scenic Highway 99 as you climb from the arid Okanagan desert into the Coast Mountain range to reach the resort town of Whistler. 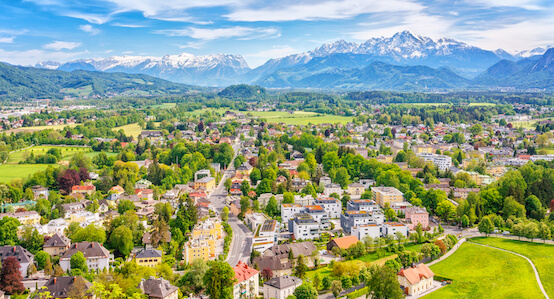 It was the main alpine venue of the 2010 Olympic Winter Games and has received much attention and praise for its charm and attractive facilities since. Visit the Olympic Plaza where medal ceremonies took place. Stroll through the pedestrian village and enjoy some time shopping for Canadian souvenirs. 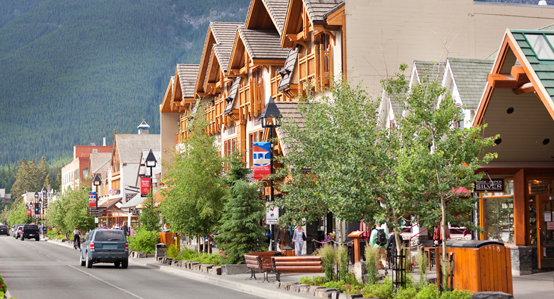 Enjoy a leisurely morning in Whistler before it is time to depart for Vancouver. Once in Vancouver you get to settle into your downtown hotel for a 2 night stay, with plenty of time to explore this beautiful and cosmopolitan city on your own. Enjoy a day at leisure. 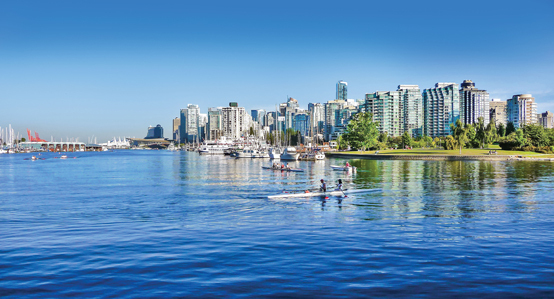 If you choose to stay on the mainland, perhaps spend some time in Stanley Park, the green pride of Vancouverites and take a walk or bike ride on the seawall there. Visit the Capilano Suspension Bridge and admire the great cedar trees in its forest or take a water taxi to Granville Island. Alternatively, join your fellow travelers on the optional excursion to Victoria and transfer via BC Ferry to the island and visit Butchart Gardens as well as downtown Victoria. Say goodbye to Vancouver with a panoramic city tour, enjoying commentary about the city. Then head back to the U.S. and enjoy a city tour of Seattle with some time at famed Pike Place Market. After days of breathtaking mountain views, it is time to return home with beautiful memories. Note: Optionals as described in this itinerary are at an additional cost. Exact pricing and program details will be available with final travel documents at which point in time you may choose to book the available options. [Tour Manager] was very friendly and outgoing. The scenery was beautiful. Camille [our tour manager] is outstanding. She is so good. I hope we can travel with her again...Great tour director and driver. Saw so many beautiful sights! Very pleased with the tour guide, driver and itinerary. 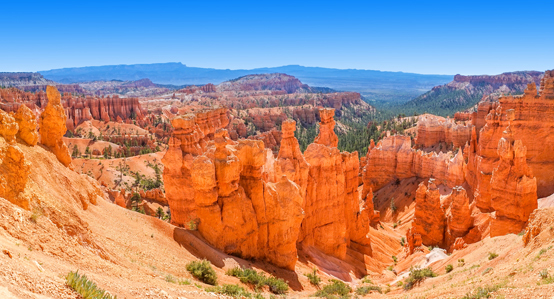 Spectacular scenery, comfortable bus ride, and nice hotels. All sights were magnificent. The weather was also "as ordered". We had a dusting of snow at Lake Louise and 6" in Banff, which made it really special... Our Tour Manager made a great team with our driver Rich, which made it pleasurable for all of us. This was our first vacation by bus and we were very pleased. Also, our fellow travelers were very pleasant. We enjoyed it so much that we booked another tour with YMT in the Spring 2015. Also, one of us is walking with a cane and has other walking limitations. We were very happy with the attention to this detail. Many hotels were equipped for those challenges. We have friends that have taken other bus trips. . . . and we compare notes. Not having to take care of the luggage is also a big factor as to [why we chose YMT]. Our tour manager was Diane. She was truly amazing and went beyond expectations to find answers to our every question and handle every little detail. She made the trip extremely interesting by making us aware of history, geology, geography, making the trip fun, and on and on. How fortunate we were to be on her tour. She was a pleasure to spend time with in every way. Can't say enough good about her. Our driver was Richard. He was awesome ---- made our trip so much more by his knowledge of the area, his pleasant nature, humor, and just being a genuine kind, caring individual. We were delighted with our trip in every way. It was perfect. Thank you for the great experience. Good value for a wonderful tour. Our tour manager was Liz and she was excellent! Her knowledge of the area was massive and her personality blended so well with all of the passengers. She made it a very enjoyable trip...We really enjoyed our first motor coach adventure and hope to do it again. We were not sure about it as we had never done it before but it was so much fun and everyone on the trip seemed to have a great time. All in all it was a great experience and we have so many pictures to go over and enjoy for years to come. That is another thing Rick our driver was so willing to stop so we could take pictures and I have been on tours where that would have been impossible. Many thanks to him again...The tour had everything that we wanted to see and plenty of time to see it. [Had a ] great time and met many really great people. Mary [our guide] is super! !...She definitely knew what she was doing. We could not have been in better hands. Great time and met many really great people. Camille [our tour manager] was excellent. Made the trip even more enjoyable and Gary was great! Such a good driver and knew so much about the area...Tour was exactly as advertised and exceeded our expectations! [Tour Manager was] professional, well informed, caring, good humored, and able to put everyone at ease if there was a concern. Very pleased with her! Good experience. Good value. From beginning to end very caring people to deal with. The scenery was fantastic. The price for a single was good and I was very happy with the tour guide and the bus driver. Every aspect of the trip was great, from the initial brochures to the actual information on travel to the destination of the tour. Our tour guide, Liz was great. She was very knowledgable along the route; Pointing out the history and small bits of information about the places we visited. She had stories about the people we ran into at different places. Our driver, Rick was very professional and courteous. He gave little bits of information of sights along the way. A+++ on performance between the tour guide and the driver, they made the trip! We really enjoyed all our tours with YMT. Never had any problems with the flights. We like the representatives meeting us at the airport. The tours are great and we really enjoy the optional tours. A great vacation. We were very satisfied with the optional tours taken...We covered more on the tour than we would have if done on our own. It was awesome---the views spectacular---and not a mile of the whole trip missed an ounce of the spectacular of the creation --it was glorious---and learned much too-from beginning to end---the group was great too- thanks for a trip of a lifetime...It just is a marvelous trip-everyone should get to experience the marvel of the Canadian Rockies and the trip through Washington and the history-of its creations too. It was reasonable and the scenery was breathtaking. Leave the driving to an experienced driver so you can enjoy the view.